Our collection of pears includes more than 20 varieties. 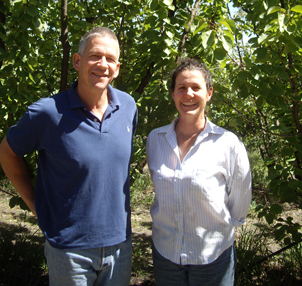 Many are included in the working orchard on the farm called Tellurian Fruit Gardens and managed by Ant Wilson, and in Carr's Organic Fruit Tree Nursery. They are grown on pear seedling rootstock, as traditional vase shaped trees. We enjoy collecting heritage varieties like Comice, Kiefer, Baptiste Valette, Beau Clairgere and St Michael Archangel, but our collection also includes many of the well-known and popular pears such as Beurre Bosc, Williams, Packhams and Corella. 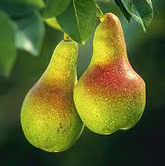 Pears tend to be a hardy tree that is relatively resistant to frost, drought and wet conditions. We're pleased to bring you information about some of the most popular varieties and hope you find it useful. We also maintain an extensive Fruit Tree Database as part of our Grow Great Fruit home-study program. Picking dates can vary by up to two weeks from one season to another, depending on the conditions, but usually the order of ripening stays about the same. The dates given below are the average picking dates in Harcourt. Most varieties can be picked over a period of 2 or 3 weeks. 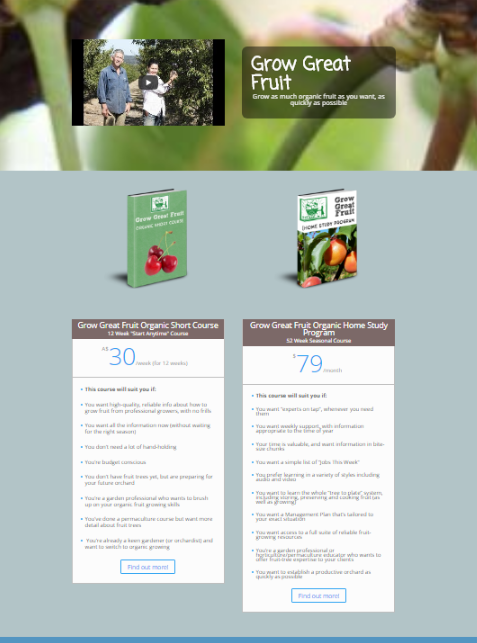 More information about each variety, including harvest dates, pollination information, production notes, chill hours, blossom time, origin and disease susceptibility and resistance (where known) are included in our Fruit Tree Database, accessible by members of the Grow Great Fruit program. A brown pear originating in Europe. 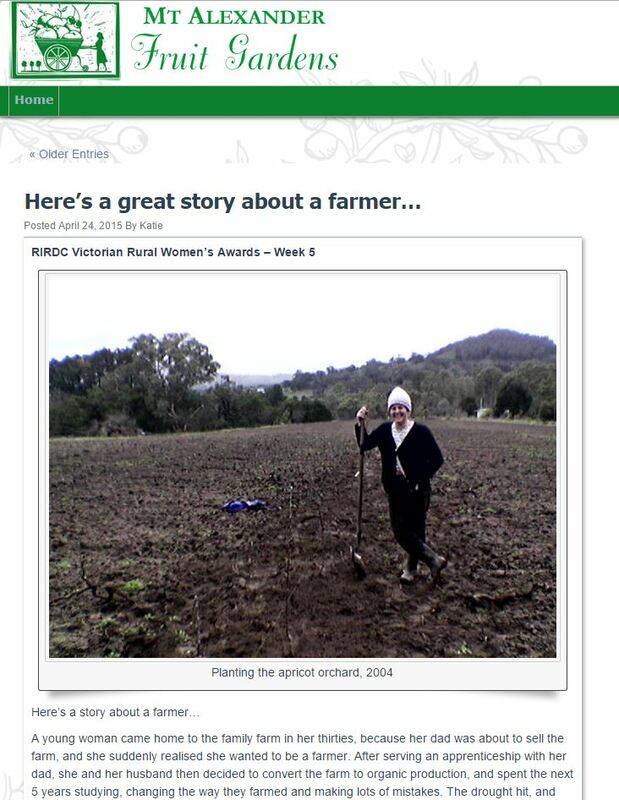 A small to medium sized Australian variety. A mid-season European pear with greenish-yellow skin. Also known as Japanese pears. One of the most well known green pears. An early season green pear.